He couldn’t see Addie’s reaction, but he could somehow sense she was smiling. She fiddled with her hoop earring and he spotted a tiny green leaf inked just behind her lobe. Ahh, so she does have a tatt. He sort of liked that she’d hidden it. She made you work for it. 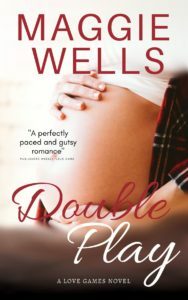 My best pal and former WWW-er, Maggie Wells, just released the third book in her LOVE GAMES series, Double Play! Thank you, Charming Charmaine! 🙂 I so appreciate you and your always-positive comments! 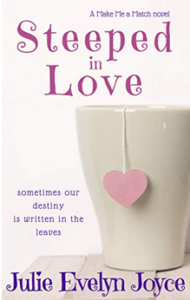 I’m afraid I haven’t yet started Steeped in Love — I’ve been reading Dostoyevsky, instead. Steeped will be a welcome relief after that! Haha, I’m sure! I hope you enjoy when the time comes! 🙂 Thanks so much, Ed! The only kind of tattoo I don’t mind. 😉 Thanks, Veronica! Hoo boy, he’s got it bad, the poor guy. For his sake, I hope this date doesn’t go as well as it appears. Things aren’t always as they appear. I’d never let my man Ethan down. 😀 Thanks, Christina! It’s easy to get ahead of yourself when you’re excited, I get her. I think she’s aiming that enthusiasm in the wrong direction, though! Full of charm and fun developments! I have this on my Kindle just waiting for my job situation to settle down so I can settle in and enjoy . . .
Next post Weekend Writing Warriors #89!